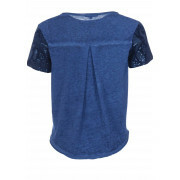 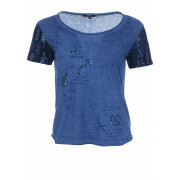 Elevate your weekend basics with this chic edit from Salsa in its stunning denim blue colour. 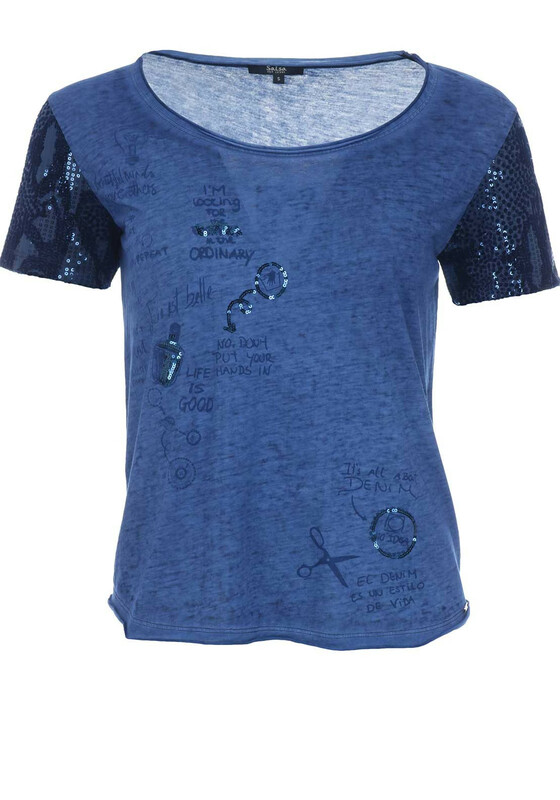 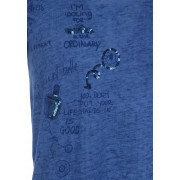 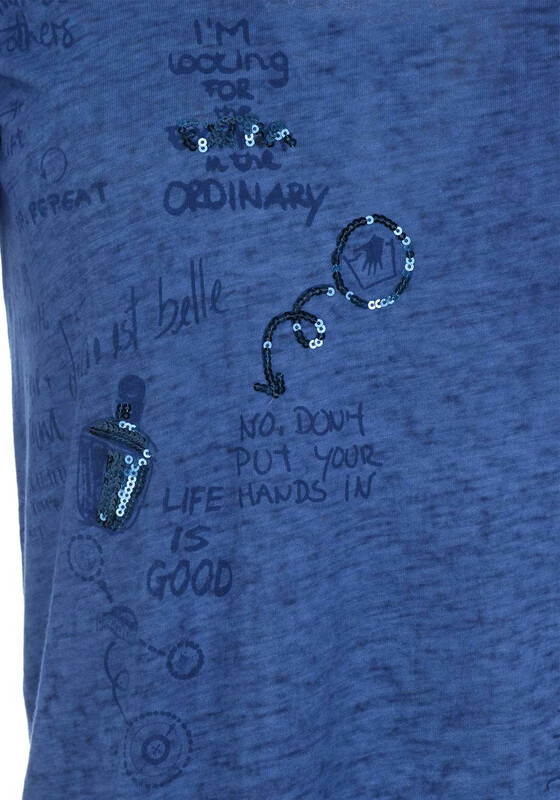 Accented with sequin embellishment and inspiration drawings and phrases. 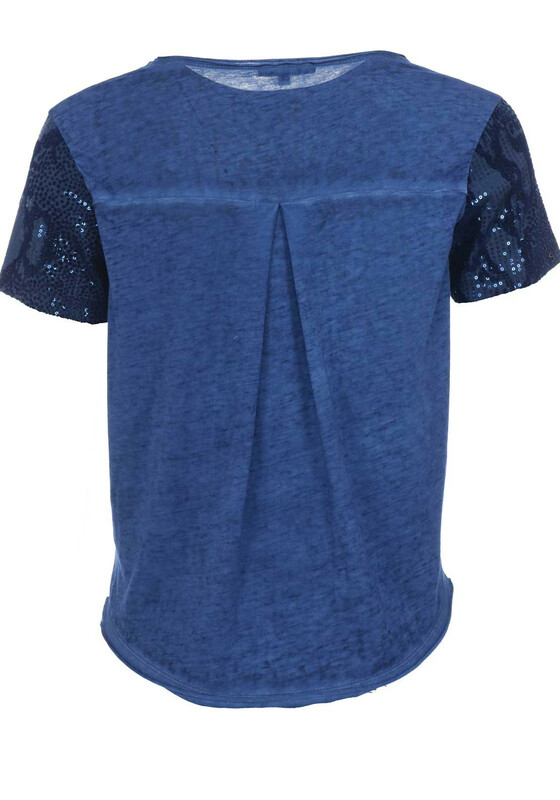 Contrasting felt and sequin embellished sleeves and Salsa hardware on the trim complete the look.